Feel like an insider in minutes. Sign up to get the latest headlines delivered straight to your inbox every Monday, Wednesday and Friday. Our readers make more birdies. Thank you for subscribing! Be on the lookout for our newsletter every Monday, Wednesday and Friday morning. For Gmail users, please move us from your promotions folder to your primary! Tom Doak is set to redesign the popular Houston municipal course Memorial Park with sights set on hosting the 2020 Houston Open. Tom Doak and Renaissance Golf reworked Medinah’s course one, Jason Way dives into the short par 4 13th and its options. Breaking down the three schools of golf design. Often lost in the shuffle in the Monterey golf scene is it’s municipal gem Pacific Grove. Garrett Ford dives into how it got him back into golf and the brilliance of its back 9. In his free time, Manish Goel developed a platform that helps golfer’s connect and play country clubs, its name, Thousand Greens. With the Tour heading to Mayakoba, Paulie likes a few accurate players to tame the Norman design. The 2018 fall college golf season is pretty much in the books. Will Knights breaks down the action and compares teams to NBA squads. In-depth analysis of some of the best golf courses in the world. Golf architect Michael McCartin joins to talk about one of America’s great lost municipal courses, the reversible Walter Travis East Potomac Park in the heart of Washington DC and how there’s a chance it is restored. Patrick Boyd is the founder of National Custom Works and Boyd Blade and Ferrule. Patrick is one of the few people in golf making hand-crafted irons and also sports a wealth of golf course architecture. In part two we discuss fun golf courses, the fair police and take a trip down memory lane talking golf equipment of the yesteryear. If you missed part one, check it out and learn about Patrick's background and how he got into the equipment industry. Andy is joined by Patrick Boyd founder of National Custom Irons and golf course architecture nut. They discuss Patrick’s company, custom irons, his role at Sweetens Cove and much more. Tom Doak discusses his new project at Sand Valley. The two discuss Tom's desire to do different types of projects, his affinity for golf in England and then answer some listener questions. The three part podcast with Yale Golf Coach Colin Sheehan. 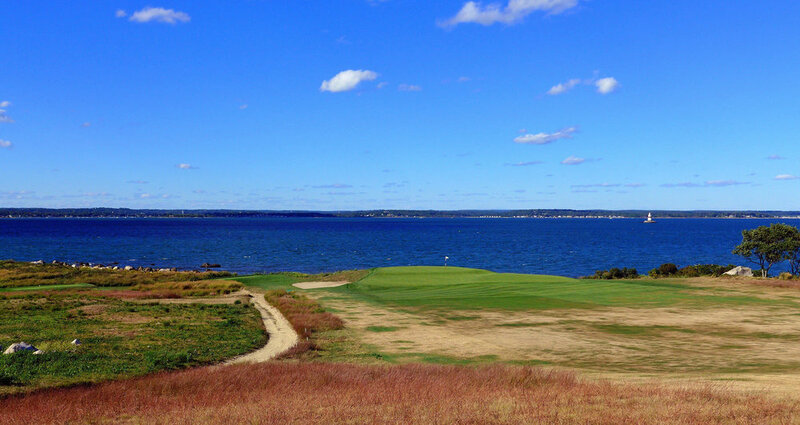 Joe Bausch and Mike Cirba join the podcast to discuss their work to date on a restoration effort of one of America’s finest municipal course, Cobbs Creek. Fox play-by-play guy and host of the Clubhouse podcast Shane Bacon joined Andy on the podcast. Their discussion ranged from this year’s USGA events to the upcoming Ryder Cup. SB Nation's Brendan Porath and ESPN's Kevin Van Valkenburg join the podcast to recap a wild 2018 PGA. We discuss, Brooks Koepka, Tiger's run, Adam Scott's close call, the golf course and much more.